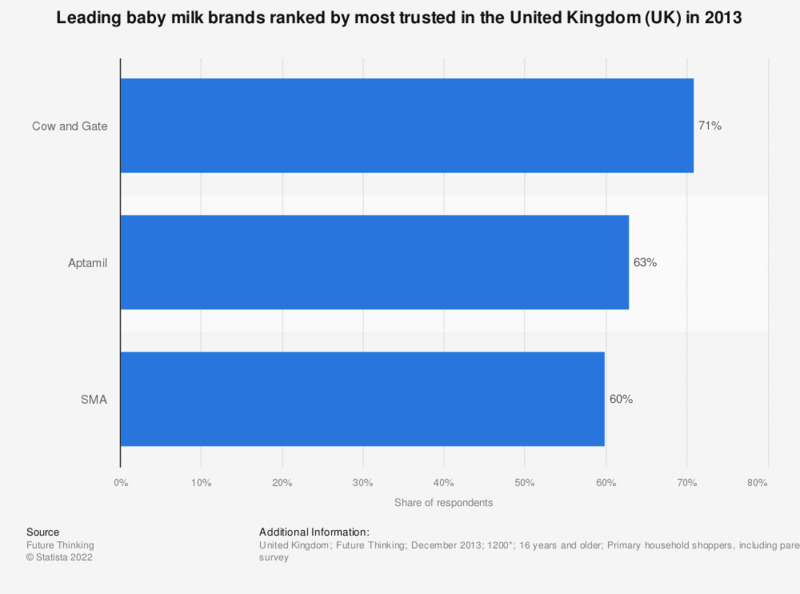 This statistic shows the leading three most trusted baby milk brands in the United Kingdom (UK), as of December 2013. According to the survey of shoppers, Cow and Gate was the most trusted brand as agreed by 71 percent of respondents. Philippines: If you and your partner/spouse have a child, or children, under 36 months do you use any of the following products? Singapore: If you and your partner/spouse have a child, or children, under 36 months do you use any of the following products? New Zealand: If you and your partner/spouse have a child, or children, under 36 months do you use any of the following products?